I love Etsy's Suggested Shop Feature! 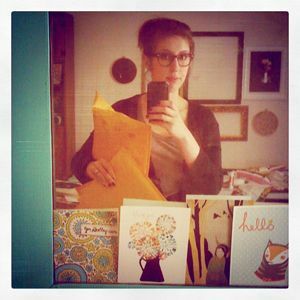 Otherwise who knows how long it would have taken me to find the lovely Dutch Door Press Shop! Their shop page describes Dutch Door as "two friends, two antique printing presses, a bunch of ink and a whole lot of paper". 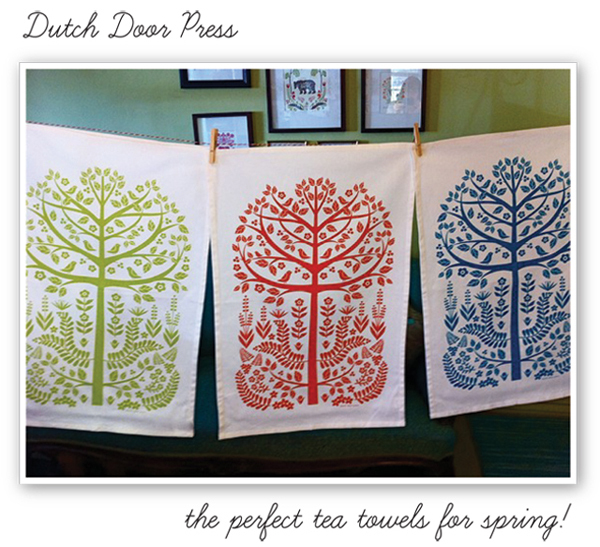 I personally love their Scandinavian inspired Tea Towels (they are perfect, no?). 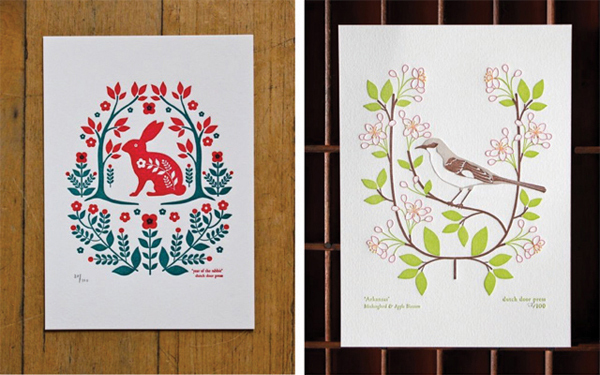 This shop is filled with elegant colorways, vintage styled letterpress prints, and the loveliest designs influenced by nature! 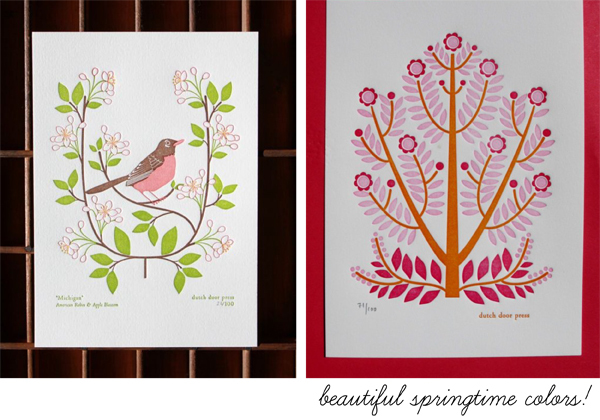 I simply adore their State Bird letterpress (see I even included the Arkansas Bird in this showcase)!